The condition of a toilet is something that homeowners rarely think about until something goes wrong. When a toilet gets blocked or malfunctions, it can be worse than inconvenient and can be very embarrassing if it happens when you have guests around. However, you should not fret if you are faced with such a situation, as with a little ingenuity, you can be able to fix a clogged toilet in no time. In this read, we are going to look at a few ways you can unblock a toilet. Before you even think about unblocking the toilet, you need to prevent it from overflowing. If the water is rising and it’s about to overflow, act promptly. You can either stop the water from pouring into the bowl from the tank or turn off the water behind the loo. To shut down the water in the tank, open the lid and close the flapper. Do not worry about the water in the tank as it is perfectly clean. This might sound basic, but it is one of the best ways to unblock a toilet. 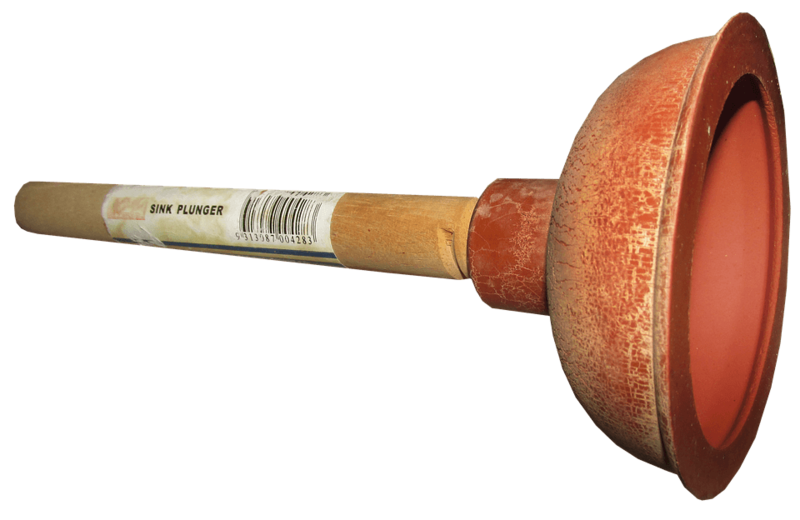 Each home should have a plunger, and preferably one with a flange as these are the best when it comes to unclogging toilets. To unblock a toilet using a plunger, put on your rubber gloves and put it in the bowl and gently push it down. Once you get a good seal, pump the plunger up and down while maintaining the tight seal. After doing this a number of times, pull it up sharply to break the seal. The water should now go down the drain. If the first attempt fails, repeat until the clog loosens. A plumbing snake is another handy tool for any household. Regular snakes tend to scratch porcelain toilets and so if you are going to use one, ensure you use one known as an auger. This tool has a rubber coating that helps protect the porcelain toilet. To snake a toilet, put the head in the bowl and gradually turn the handle clockwise. Wind the snake back if you feel resistance. Once the clog loosens, flush the toilet. If it doesn’t repeat the process until you get results. If a snake or a plunger proves unsuccessful, you can always turn to non-toxic household items like vinegar and baking soda. These substances are particularly famous for cleaning many surfaces and acting as deodorizers, by they are ideally excellent for unblocking toilets. Simply add a cup of baking soda to the toilet and wait for a few minutes. The next step is to pour two cups of vinegar. These substances undergo a chemical reaction that helps break down the clog. Note that the mixture produces bubbles and so, ensure that you pour gradually to prevent splashes and overflowing. Flush the toilet after several minutes to see if the clog has cleared. This is a unique method for unclogging toilets that most people do not know about. However, do not attempt this method with a conventional vacuum as you’ll not only ruin it, but you put yourself at risk of getting shocked. Before you start, put on rubber gloves as the technique involves holding the hose inside the toilet. Vacuum the water out if the bowl isn’t empty. Next, put the hose in the drain and wrap a towel around it in order to create suction. Turn on the vacuum and firmly hold the hose and the towel in place. It should create adequate suction to pull out the clog. Ensure you clean and sanitize the vacuum thoroughly afterwards.